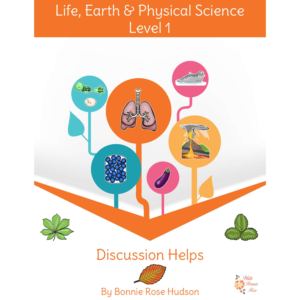 Take your elementary students on an exploration of life science, earth science, and physical science with these seven titles in the Learning About Science Collection, Level 3. Available in print and cursive handwriting versions. 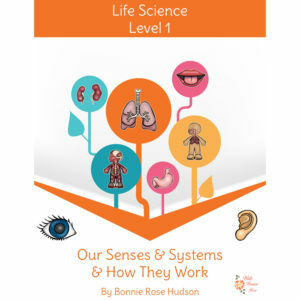 See a preview of Learning About Science Collection, Level 3. 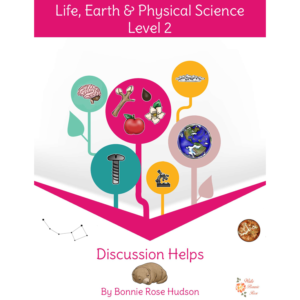 Take your elementary students on an exploration of life science, earth science, and physical science with the Learning About Science Collection, Level 3. 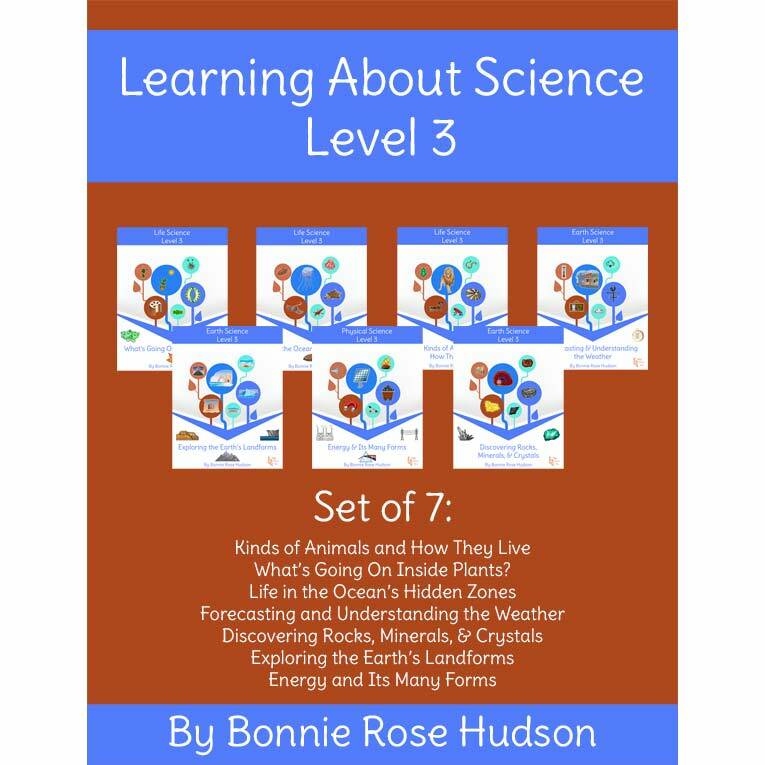 These seven books study some of the different types of animals, photosynthesis, what’s going on inside plants, the ocean zones and some of its many animals and plants, what makes the weather, tools forecasters use to measure weather, how certain types of weather form, the types of rocks, the uses of specific rocks and crystals, types of landforms, types of energy, and sources of energy. Students can personalize each book by coloring the illustrations and tracing the key words in the space provided. Incorporate some fun and handwriting practice into science. Review activity sheets with answer keys are included. 135 pages total. Available in print and cursive handwriting versions. 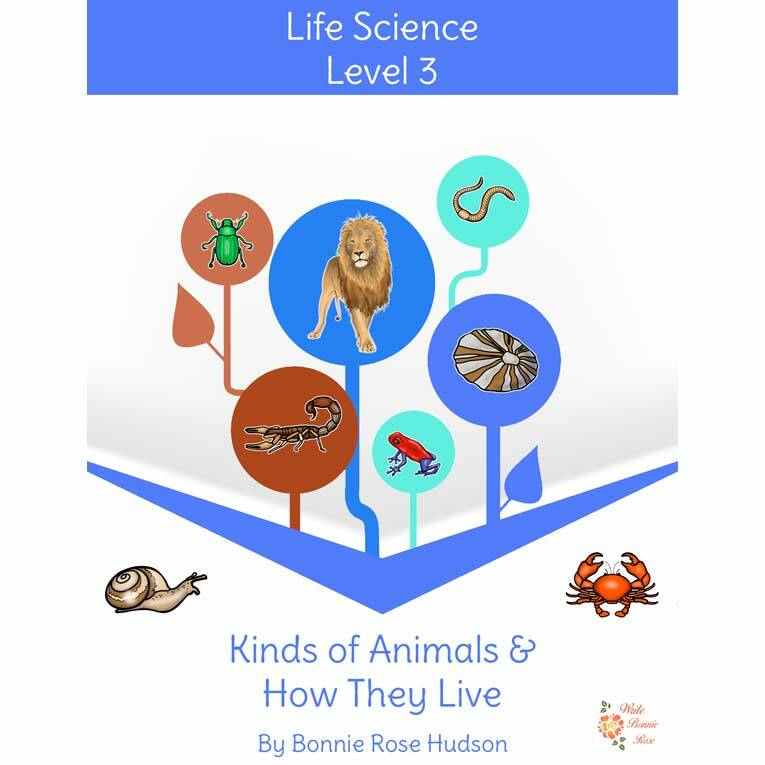 Kinds of Animals and How They Live: Introduce students to 9 different types of animals and 32 specific animals in this life science unit. Study vertebrates, invertebrates, arthropods, and more, and learn about what makes them all different and what some groups have in common. Students can personalize this book by coloring the illustrations and tracing the key words in the space provided. Incorporate some fun and handwriting practice into science. A review activity sheet with answer key is also included. 18 pages total. Types of animals include: vertebrates, invertebrates, fish, birds, mammals, reptiles, amphibians, arthropods, and mollusks. What’s Going on Inside Plants? How do plants get their food, and how do they transport it to all the parts that need it? Why do plants move toward water, light, and sometimes other objects? 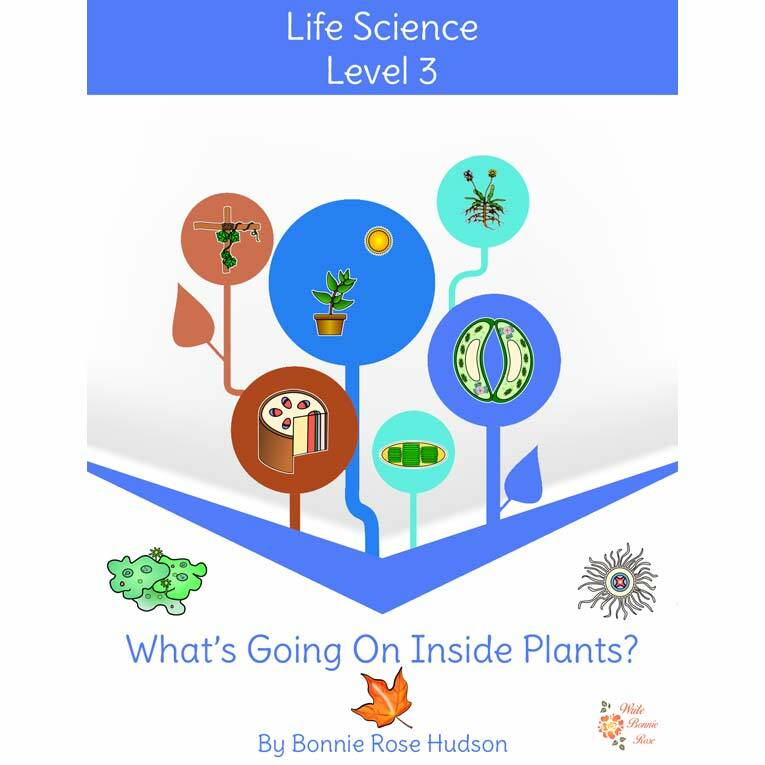 Learn about the processes of photosynthesis and transpiration as well as the shapes of leaves, vascular and nonvascular plants, the parts of a plant’s vascular system, and tropisms with this life science unit. Students can personalize this book by coloring the illustrations and tracing the key words in the space provided. Incorporate some fun and handwriting practice into science. A review activity sheet with answer key is also included. 16 pages total. 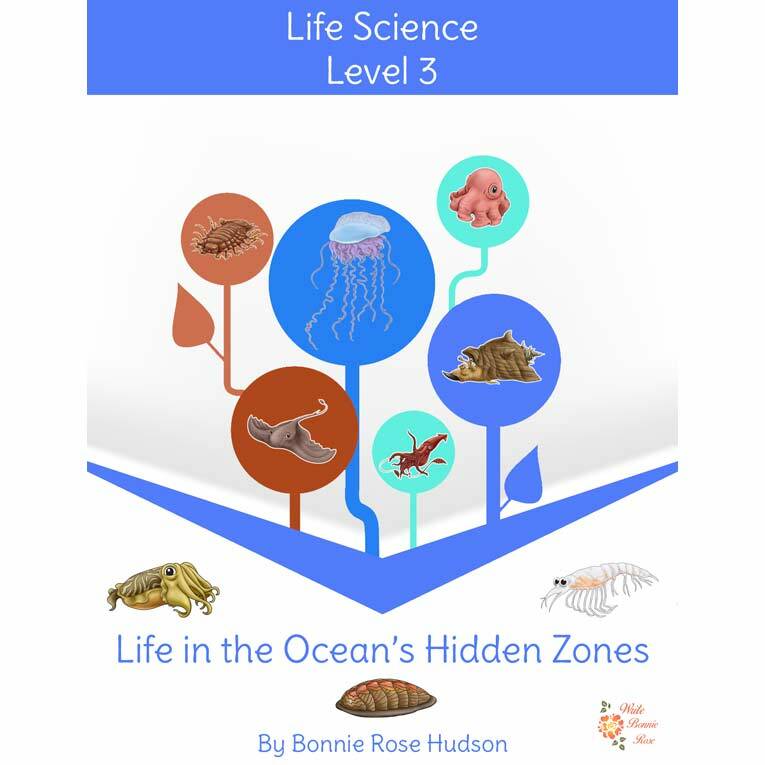 Life in the Ocean’s Hidden Zones: Help students discover the hidden zones of the ocean and learn about the animals that live there in this life science unit. All five zones of the ocean (sunlight, twilight, midnight, abyssal, and trenches) are explored as well as thirty-seven different animals and plants. Students can personalize this book by coloring the illustrations and tracing the key words in the space provided. Incorporate some fun and handwriting practice into science. A review activity sheet with answer key is also included. 21 pages total. 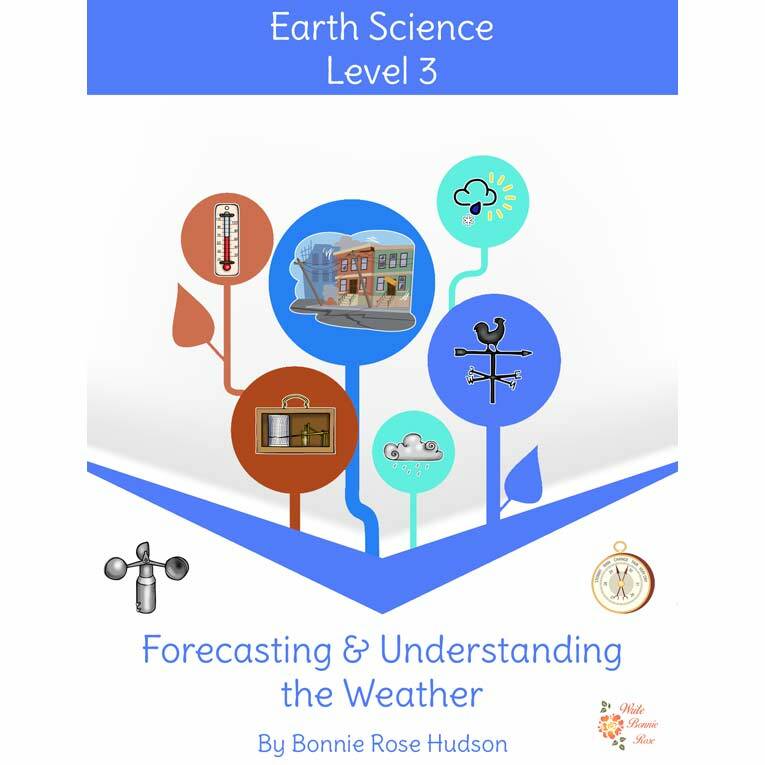 Forecasting and Understanding the Weather: Show your students what weather is, some of the tools forecasters use to measure it, and how certain types of extreme weather form. Discover the three elements of weather—sunlight, water, and air—as well as air temperature, air pressure, humidity, and air masses. Look at tools including the thermometer, anemometer, wind sock, weather vane, barometer, barograph, rain gauge, and weather balloon, and take a closer look at 14 types of weather including blizzards, dust storms, earthquakes, floods, fog, droughts, hurricanes, ice storms, mud slides, thunder and lightning, tornadoes, tsunamis, volcanoes, and wildfires. 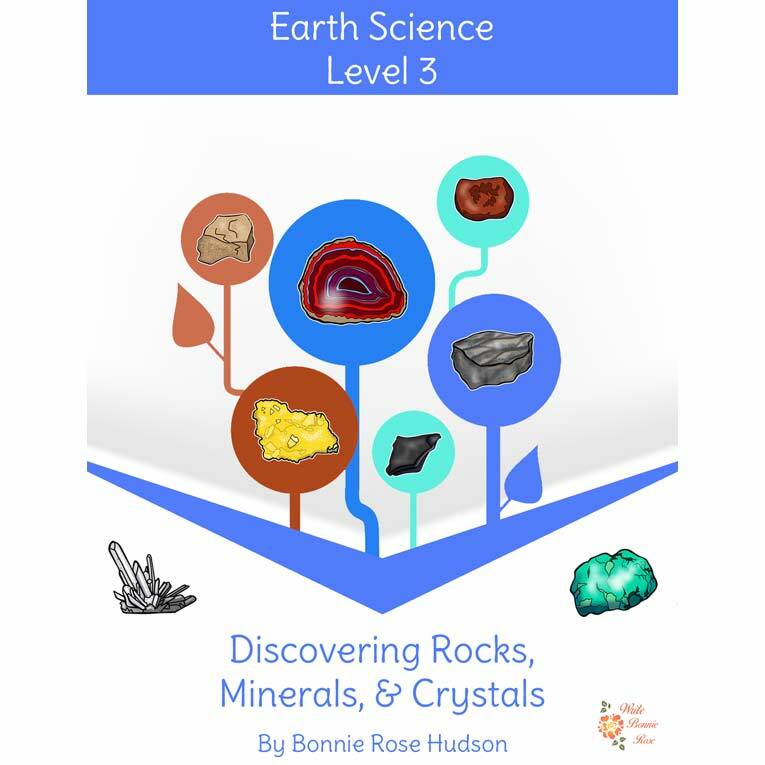 Discovering Rocks, Minerals & Crystals: Dig into the types of rocks that make up our planet as you learn about igneous, sedimentary, and metamorphic rocks. Learn what makes up minerals and what a crystal is. Plus, take a closer look at 23 specific rocks and crystals and their uses including granite, basalt, diorite, felsite, conglomerate, sandstone, shale, limestone, dolomite, marble, quartzite, serpentine, schist, agate, amethyst, carnelian, diamond, hematite, kyanite, rhodochrosite, sulfur, tourmaline, and turquoise. Students can personalize this book by coloring the illustrations and tracing the key words in the space provided. Incorporate some fun and handwriting practice into science. A review activity sheet with answer key is also included. 18 pages total. 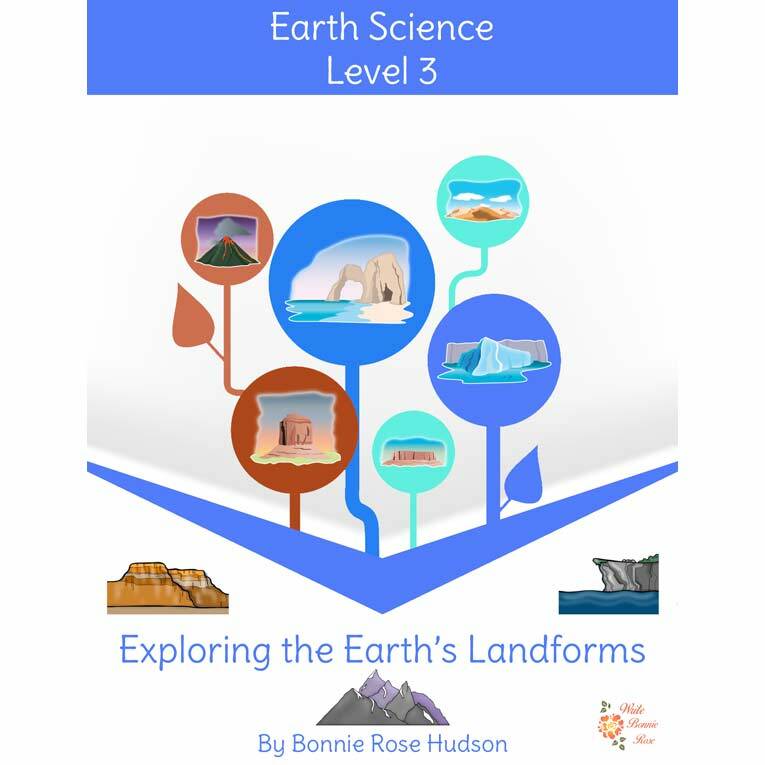 Exploring the Earth’s Landforms: Take a closer look at 32 of the earth’s landforms with this earth science unit that explores bays, beaches, buttes, canyons, capes, caverns, cliffs, deltas, deserts, sand dunes, polar deserts, glaciers, geysers, gorges, hills, gulfs, islands, isthmuses, lakes, mesas, mountains, block mountains, fold mountains, oases, peninsulas, plains, plateaus, rivers, rock arches, valleys, volcanoes, and waterfalls. 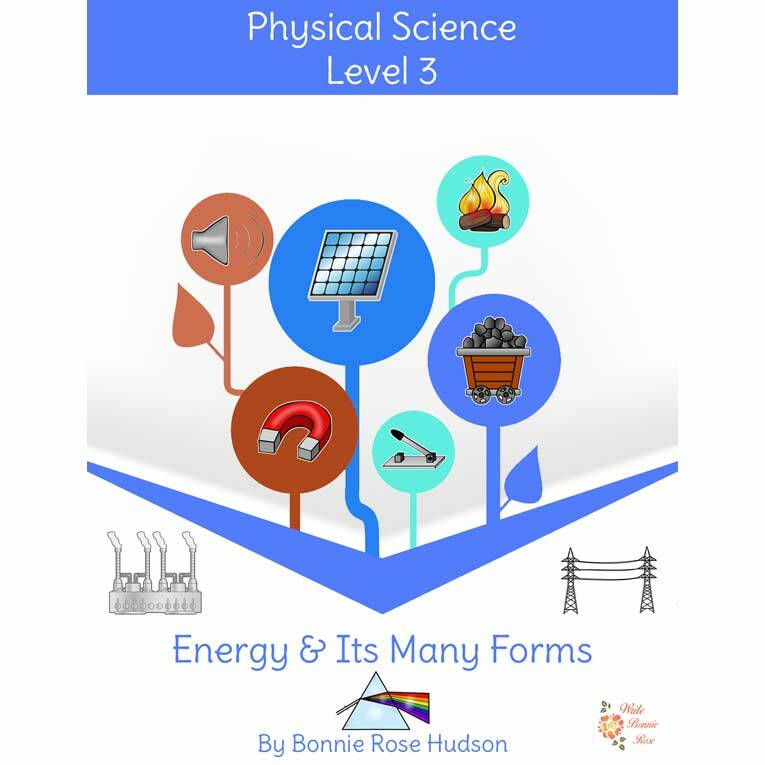 Energy and Its Many Forms: Explore the five main types of energy (light, heat, sound, electrical, and chemical) and some of our sources of energy. Discover light energy and prisms; reflection and refraction; concave and convex lenses; and transparent, translucent, and opaque objects. Take a look at thermal energy and discover heat, conductors and insulators, expansion and contraction, temperature, conduction, convection, and radiation. Learn about how sound waves work and the differences between loud, soft, high-pitched, and low-pitched, sounds. Discuss electricity, atoms and electrons, circuits, switches, amps, and volts. Understand the role of chemical energy in our lives, and learn about 8 common sources of energy. Take a look at fossil-fueled steam electric power plants, hydroelectric plants, nuclear power plants, solar energy, wind turbines, tidal power, geothermal plants, and biofuel. Don’t miss these additional Level 3 titles not included in the bundle above: Beetles and Butterflies and A Closer Look at the Science of Snowflakes (free).